1 moon landing controversy | This Blog Rules | Why go elsewhere? 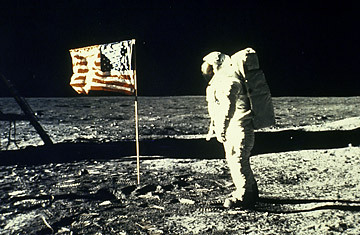 Did Man really land on the Moon or was the giant leap for mankind filmed in a studio somewhere on Earth? The photos and the rest of the evidence of the landings have been hotly disputed for decades and around 6% of US citizens believe that they were faked. So what are the 10 most controversial points about the so called moon landing hoax?